Economic Modelling now plays a significant role in the development of public policy development and the conduct of public debate in Australia. Modelling has been central to the case for and against the carbon tax, the mining tax and industrial relations reform. But the widespread use of economic modelling is not matched with widespread understanding of its strengths, weaknesses and vulnerabilities. When used well economic modelling can help policy makers understand the existence, and magnitude, of likely interrelationships; when used poorly it can conceal those same linkages; and when use dishonestly it can be used as a tool to dress up the self-interest of advocates as national interest. 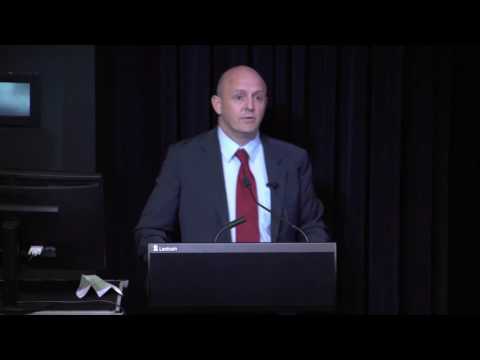 In this address Richard Denniss will outline the use and abuse of economic modelling in Australia and argue the case for a Code of Conduct for economic modelling. An economist by training, Dr Richard Denniss has worked for the past 20 years in a variety of policy and political roles. He is an Adjunct Associate Professor at the Crawford School of Economics and Government at the Australian National University. He is known for his ability to translate economics issues into everyday language. Richard has published extensively in academic journals, has a fortnightly column in The Canberra Times and Australian Financial Review and was the co-author the best-selling Affluenza (with Dr Clive Hamilton). His latest book, Econobabble, was launched by Laura Tingle in February 2016.